With the arrival of March comes springtime, bringing with it warmer temperatures, greener lawns and lots of color to the outdoors. At this time of year, nature beckons to families who have been cooped up in the cold to reconnect with one another in the sunshine. Lots of springtime traditions provide you with fun family time that doesn’t do much damage to your wallet. Cherish this time with the people you love. You don’t have to worry about the cost. Towns and cities dedicate full weekends in the spring and early summer to celebrate the change in the weather, often paying tribute to a flower of the region or the history of a neighborhood. 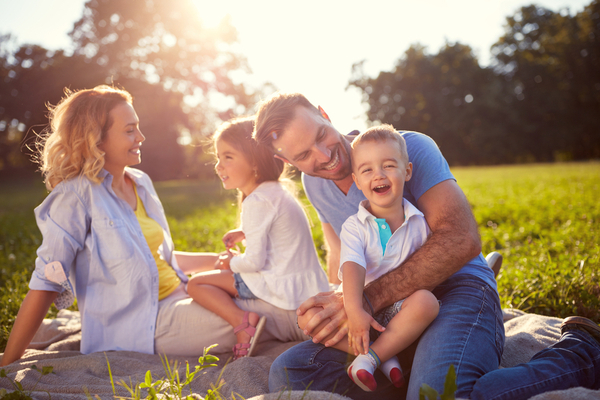 Whether you’re a fan of crepe myrtle trees or the best your hometown has to offer, festival season provides you with a chance to see free live music, explore park grounds and playgrounds with your family and connect with your neighbors. In public spaces, you can bring your own food, toys for the kids, maybe a blanket and a pair of comfortable shoes to stroll through the festival booths. Building memories doesn’t cost you a thing. Though one weekend in spring may be dedicated to egg hunts, giving your children a chance to seek out a daisy or a rose, maybe a spider’s web or a piece of quartz on a nature trail, gives them a way to appreciate what’s right outside their door that they maybe wouldn’t notice otherwise. Create a game out of a walk in the woods. Turn a trip to the lake into an adventure. It’s a way to share with your family the way you see and feel about the world. Working in nature gives you the sense that you’ve created something from nearly nothing. With your green thumb, a small pack of affordable seeds can become a thing of beauty that you can share or even food that you can use. Whether you create a space in your own backyard for vegetables or flowers or even tend a plot in a free community garden with your neighbors, it gives you a chance to show your family the rewards of hard work, the value of patience and a glimpse of how science works in nature. It’s easy on your pocketbook and good for the planet. Whether you want a romantic outing with your significant other, a fun meal for the whole family or a potluck gathering for a bunch of friends, there’s nothing quite as delightful as a spring picnic. So keep an eye on the forecast, pick a site that you enjoy – maybe a public park, the riverside or a campground with a covered pavilion, just in case – and pack a basket of your favorite springtime foods. It’s a nice way to spend a few hours outdoors, provided you’re also using sunblock and remaining mindful of ants. Finances shouldn’t cause you worry or distraction when you have time to focus on your family and loved ones. To assure your finances are in the best shape this season, CreditGUARD of America offers you a variety of credit counseling solutions. There are knowledgeable people available to help you review your finances and prepare for a better future. Contact the certified credit counselors at CreditGUARD of America Inc. for more information by calling us today at 1-800-500-6489.